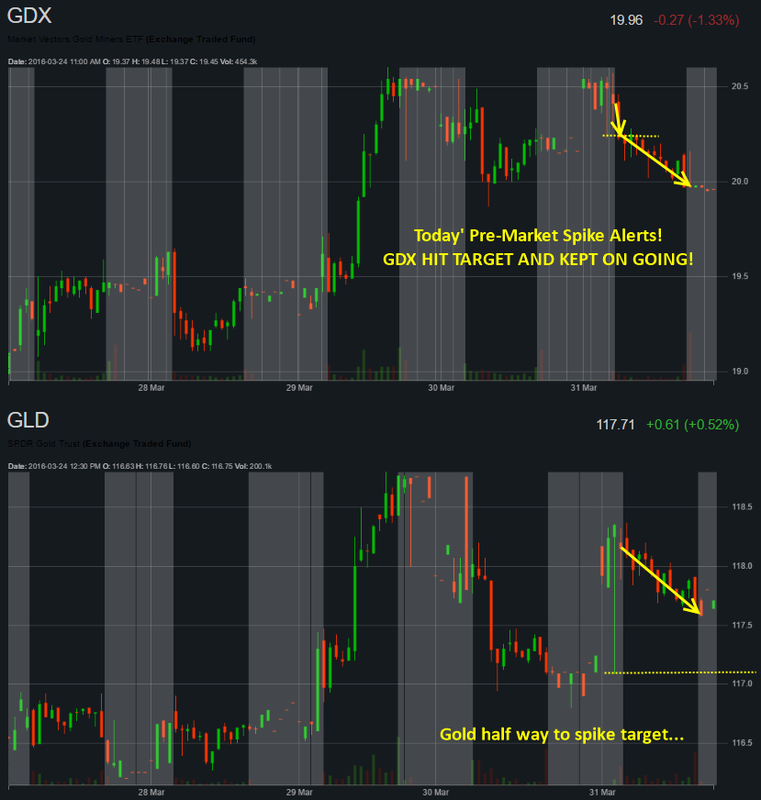 Here are my charts of GDX and GLD during pre-market trading today (Thursday, March 31st). I sent this chart to my followers alerting them of today’s market bias and intraday trade setup. If you don’t know what spike alerts are, let me explain briefly. In short, the market gives of these rogue price spikes which only some data feeds catch and share. On top of that, some data feeds filter their data depending on the chart timeframe you are loading and will only use the AVERAGE price and not every tick to create the price bar on the chart. Meaning, even if your charting platform and data feeds don’t filter our these rogue price spikes (which most do filter these out), then you may only see these price spike with specific chart time frames like the 30-minute or a 10-minute chart. It varies from day to day and when the rogue spike happens. Bottom line, if you see these spikes, 80% of the time we see the price spike target reached within 36-48 hours. 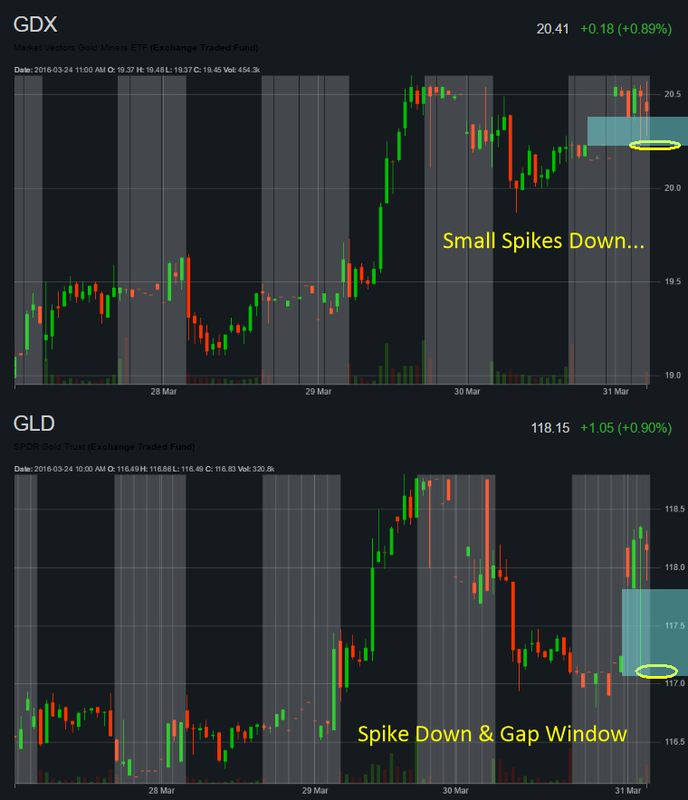 The last thing, I will be adding an update feature to the members area where these price spikes for SPY, QQQ, GDX, and GLD are tracked and members will receive email alerts for pre and post market hours when they occur which is going to be awesome! I excited as it will save me all the chart surfing and jumping time frames to find these trade.